We’re happy to say that our ReFound Masterclasses are back! We started our new run of classes on Saturday 17th October, with an introduction to upholstery, “Make Your Seat a Throne” – recovering a dining chair. 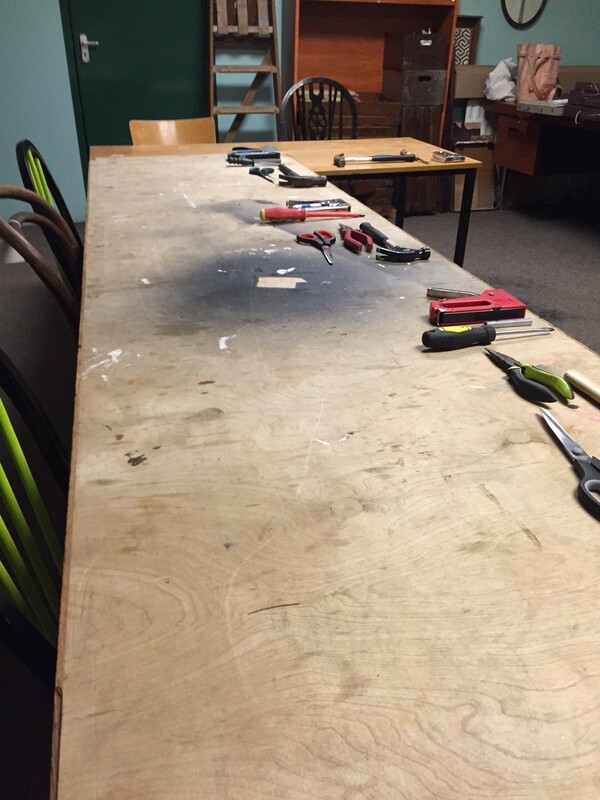 Here is our workshop all set up with tools waiting for our eager students. Before we started on the practical work we explored different interiors genres, in order to “diagnose” personal styles, helping our class to choose the most appropriate fabrics to complement their homes. And so on to the hardest part of any upholstery job, the preparation. This involves stripping the previous covering and extracting MANY staples and tacks. Under the covering fabric is, depending on age, foam or felt padding. 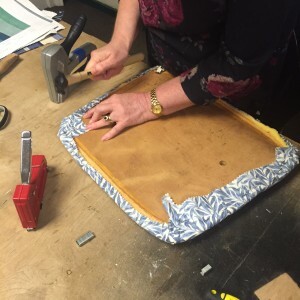 We would always recommend keeping the original padding, unless it is degraded beyond repair – it is often more comfortable and better quality than modern materials, and after all we are all about reusing and recycling! 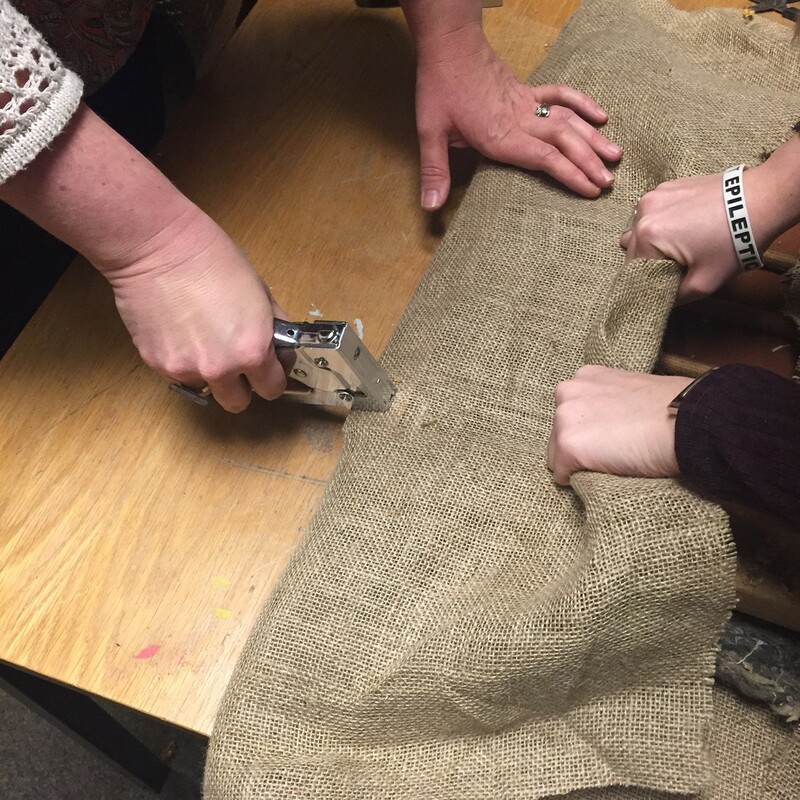 Next up is the fun part, getting the new fabric on. 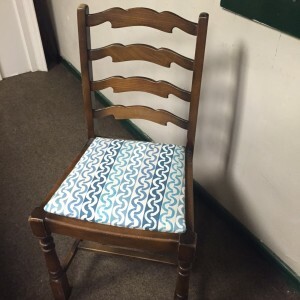 The secret to this is to line up any pattern with the straight lines, to gently ease it flat, and most important of all, to start stapling in the middle of each side, working outwards to the corners. The class found our instructions to make the corners like bed “hospital corners” useful! The last step is to drop the seat pad back into the chair, or to screw it back on to the legs, and ta-dah, a lovely new chair! 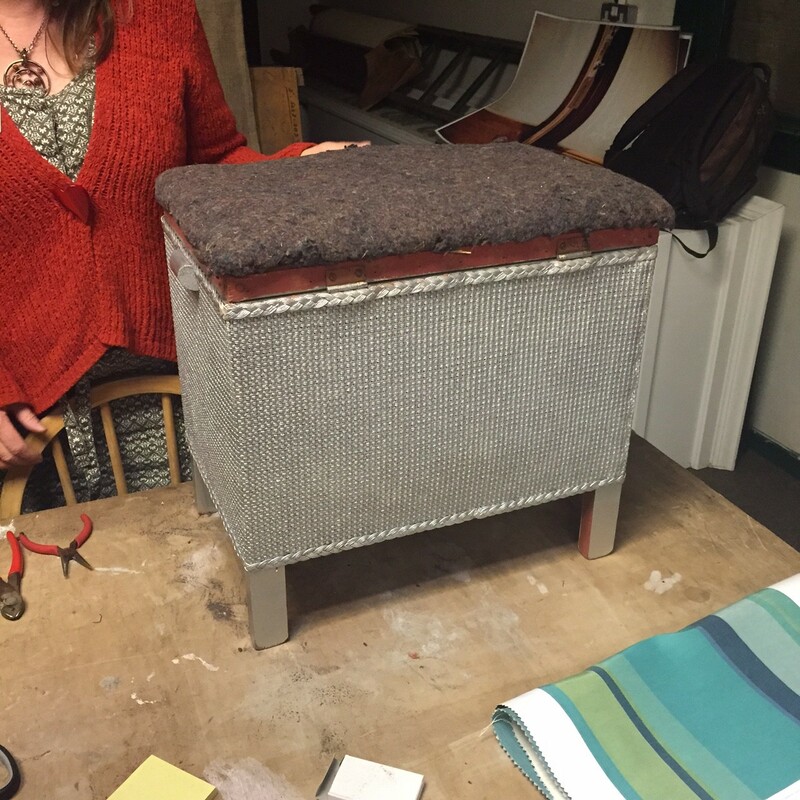 We also had a small ottoman brought along, and two bigger chairs, so we were able to take a look at more advanced techniques; and will be running more upholstery masterclasses in the new year for anyone who wants to tackle a more advanced project. 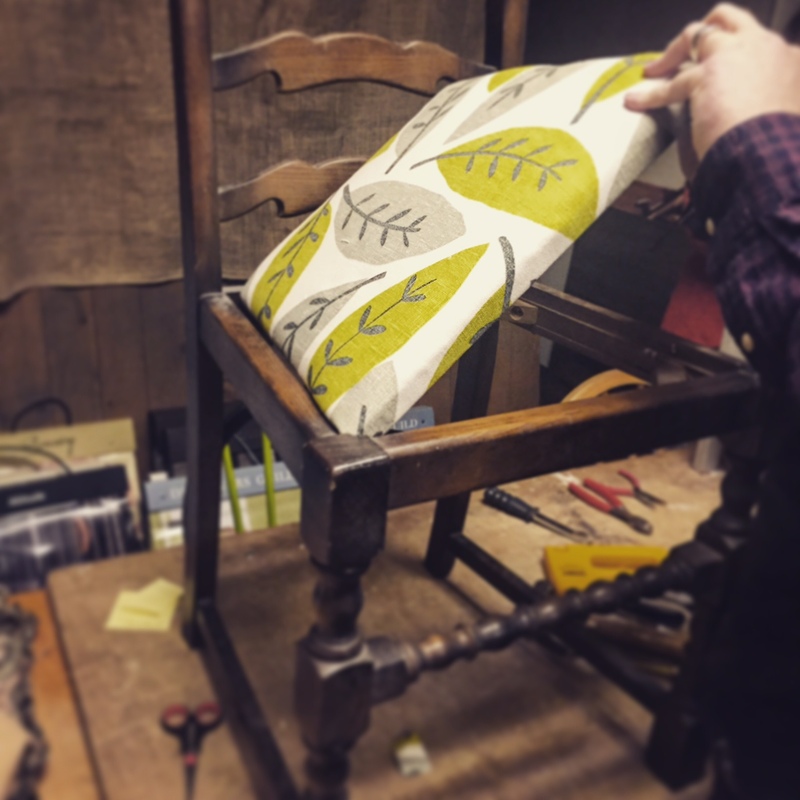 We love sharing our skills, and sending people home not only with new knowledge, but with the confidence to remake things on their own! 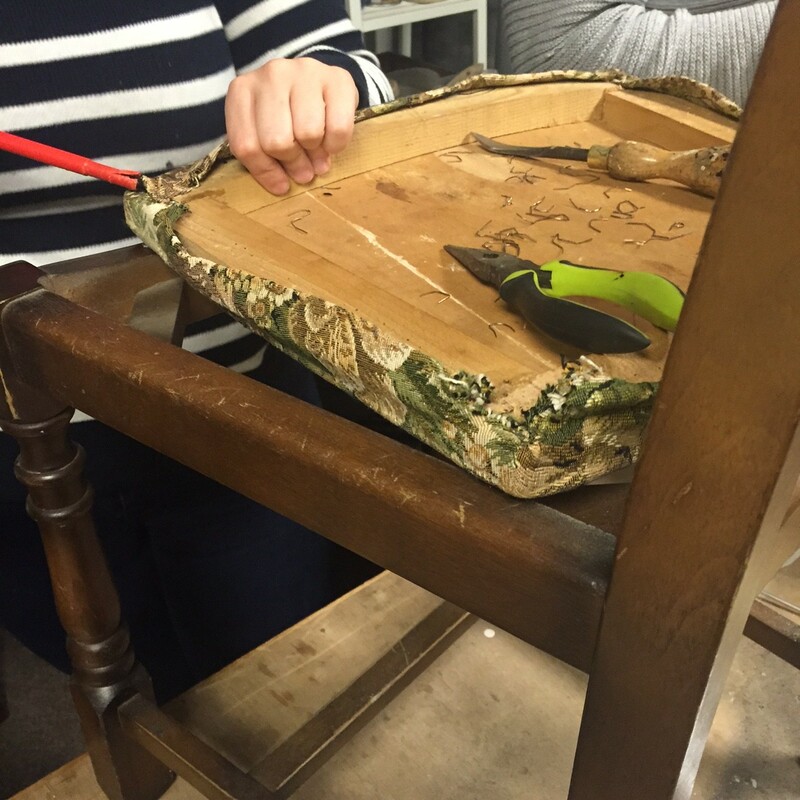 Check our website and social media for details of upcoming classes, the next one is a Furniture Finishing Masterclass, on Saturday 21st November.